No, it's not January 1st – it's spring, the time of year when everyone and everything casts off its winter layers. It’s also a great time to brighten up your space and your spirit, so we’re providing a few simple tips for refreshing your apartment. Open up the windows to let fresh air in and musty air out. After being closed up during chilly weather, your apartment is ready to "breathe." Here are four more ways to get rid of stale smell: 1) Place an open box of baking soda in your refrigerator to counteract food odors; 2) sprinkle a little in your garbage disposal for the same purpose; 3) Run some white vinegar through your coffeemaker and dishwasher; and 4) treat your carpet with some sprinkle-on or spray-on refresher. 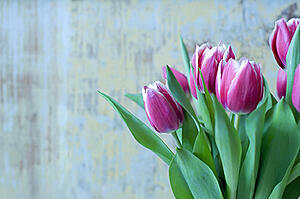 Rejuvenating your apartment for spring has the added benefit of giving you renewed energy, as well. Have fun shaking off those winter doldrums and getting ready for the sun! What are you doing to give your apartment a springtime lift? Share your favorite tips for spring renewal with other Springs’ residents by posting comments below!